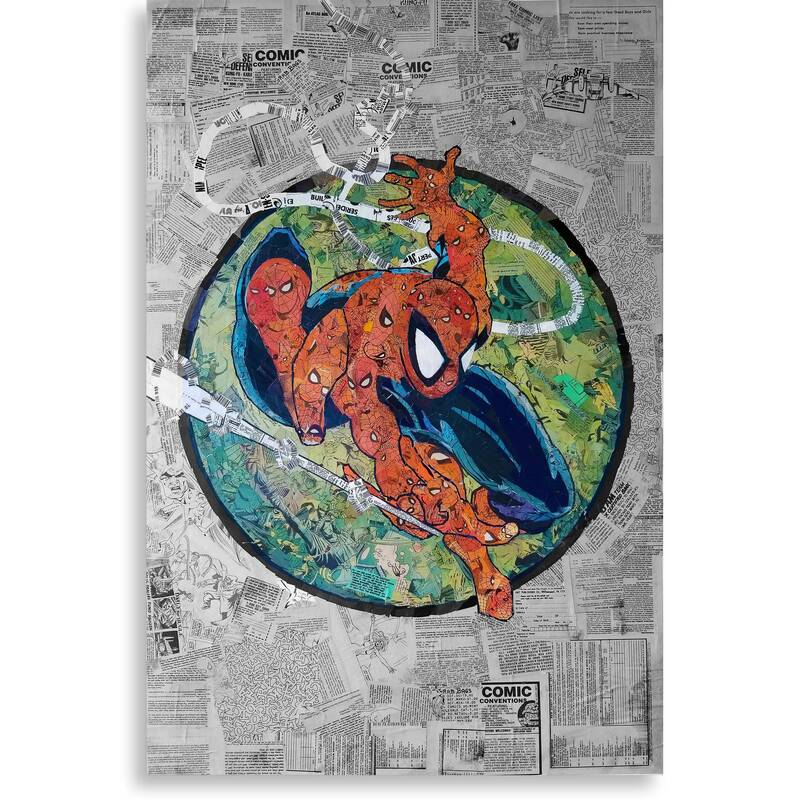 "Three Oh One" is a modern comic book size print of an original mosiac style collage recreation of Amazing Spider-Man #301 painstakingly created from actual comic book pages on a 24"X36" canvas. There are only 20 of each of these, all come signed & numbered. 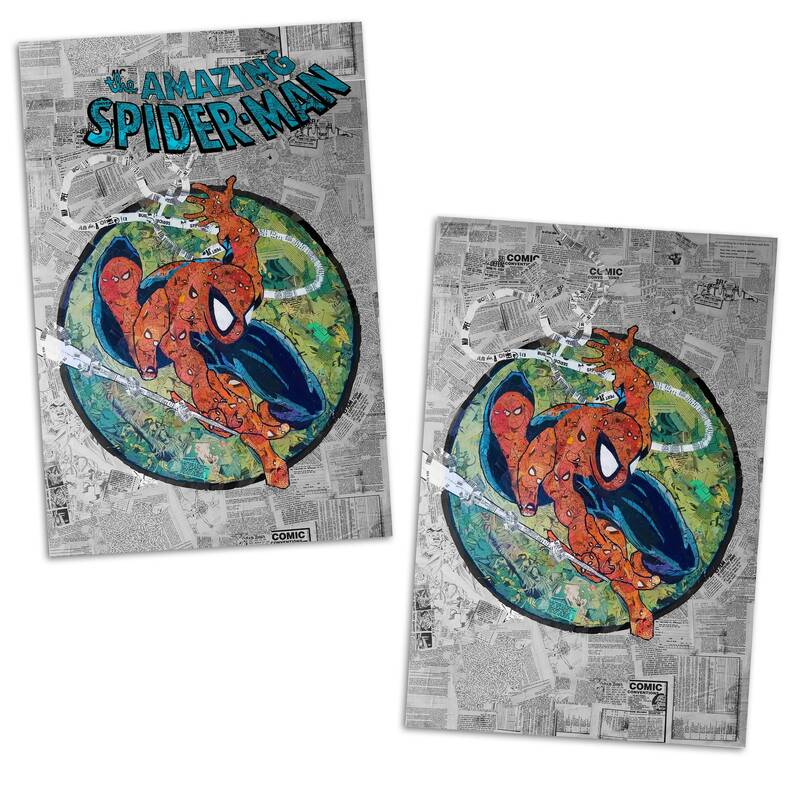 If these sell out I will do a limited run of a holofoil version as well. 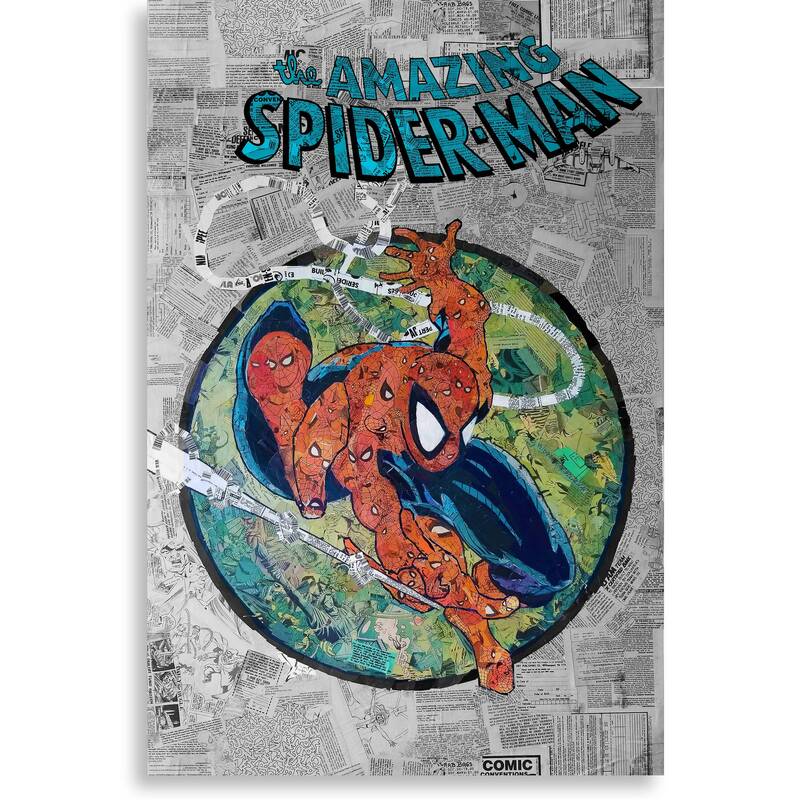 • Modern comic book 6.625" x 10.25"